New Forest Show 2011 visit for a great family day out. 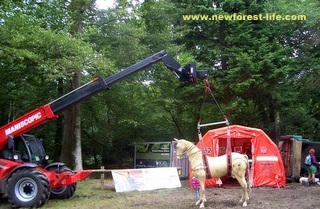 Visit the New Forest Show 2011 for a really great family day out. You can really experience and learn what life is like living in this beautiful UK National Park. It is held from 26 - 28 July at The Showground, New Park, Brockenhurst, Hampshire, SO42 7QH for your SatNav. I'll be visiting this annual agricultural show this year and writing my review. It is a way for you to really explore the customs, history and lifeblood of the beautiful New Forest National Park. Here's what you can enjoy at this years show. New Forest pony, donkey, cow, pig, sheep, displays throughout the 3 days. We ate our sandwiches in the front row of a display one year whilst a string of massive bulls were being shown with just a single rope fence keeping us apart. The bulls behaved impeccably whilst we studied them up close! The Countryside Area is a must and one of my personal favourites. Fly fishing, ferret and terrier racing, falconry, gun and drug dog displays, and all day game cooking demonstrations. 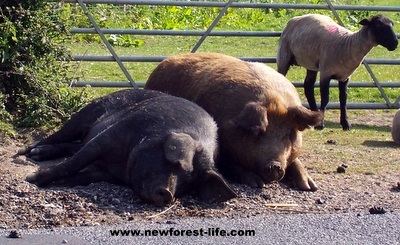 Don't forget my motto at newforest-life website -please try to eat locally! The Hants Fire and Rescue Team will show you a display of what the New Forest animals can get up to and the fantastic equipment they have to rescue them from bogs and other dangers. The Food Hall will be fantastic and you can sample before you buy often - don't eat before as you will be buying lots of delicious local food and produce. Are you thinking of camping for your visit? Visit my New Forest Camping information for the Forestry Commission campsites, actually within the New Forest cattlegrids. For Luxury Camping try this! The Long Meadow Campsite is also very handy if you are visiting the New Forest Show this year. Make sure you get a programme so you know when the arena displays are taking place so you plan your day around what you want to see. We spent too much time on the goods for sale as you enter the New Forest Show and found we had missed some displays in the main arena. You can always go back to this area later. Try to visit the animal shows - the quality and turn out of the animals is fantastic! Go around the edges - there are lots of wonderful surprises and discoveries if you visit the smaller stalls and displays. Take a brolly, wellies and a fold up seat - you will get weary! Enjoy all the best the beautiful New Forest has to offer you! 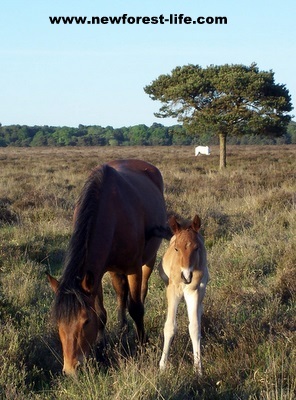 I hope you have a wonderful family day out if you visit the New Forest Show 2011. You should have enjoyed all the events, animals and tasted some really great New Forest food too.